Rainbow Vacuum Cleaners can cost as much as $2500 brand new, and they are worth it, IF you have the money. You can find some good USED ones online. Check out the site I linked to above. This site cotain good quality of cleaners. 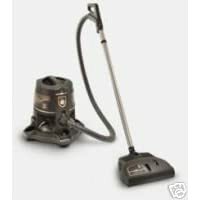 I bought the vacuum and agreed to the $2900 price. A month later I find out the company took out a $4000 loan under my name for the product. I did not consent to the $4000 loan for a vacuum. The company did not disclose that information. When I stated that i did not consent to the $4000 price and that they can take their machine back they stated they will not and that they will be putting it on my credit. Its a scam. Dont waste your money. You can get the whole system online for less than $1000.